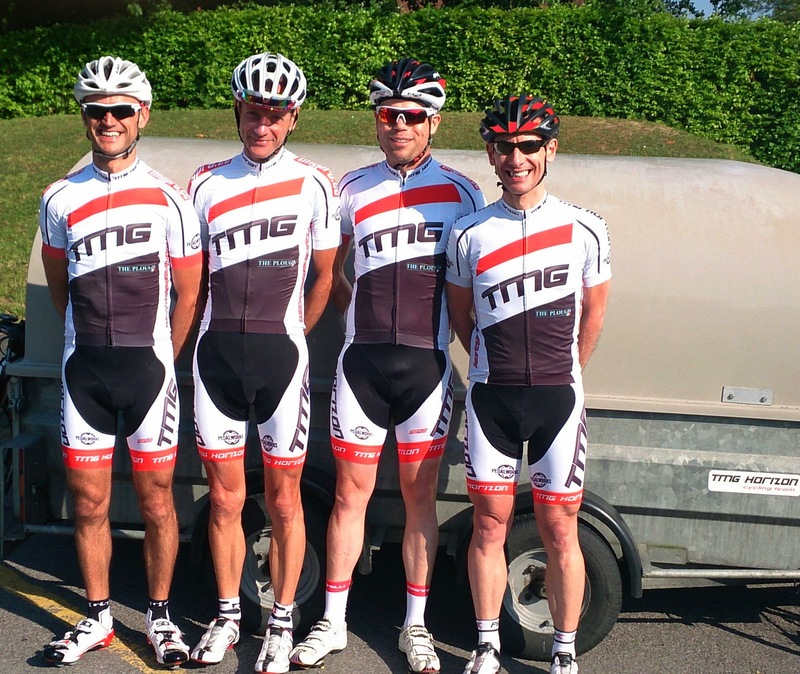 The team Juggernaut ferried four of our riders to Hampshire yesterday for the LVRC National Road Race. The Herriard Circuit was billed by the organisers as 'undulating'. Seriously. Fortunately, we had a very lean Graeme who left everyone for dead up a nasty ramp to Brill the other week. So he was our group 'A' numero uno. Neil still had a touch of Easter Egg weight about him; Ian was thinking about survival, but the undulating section looked useful for him. Paul, on his own in the 'C's, was quietly confident. And it went off hard; a bit like a junior race. About half of the field of 60 were off the back on the first time up the climb: "I really didn't expect the pace to be so brutal," recalls Ian. "But I guess it was the Nationals!" 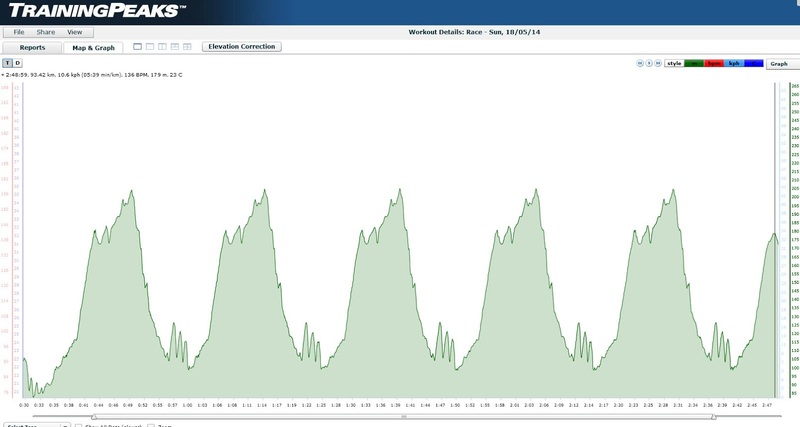 The third time up the hill proved too much for him: "My legs just packed up; the intensity was just too high for me - I guess I need to adapt to the ebb and flow of a Road Race, and this was another learning exercise of how tough even Vets racing can be." Ian Knight of Corley Cycles Team was discussed in the team car as being the 'man most likely' en route to the start and he didn't disappoint. Neil followed his first major attack in tandem with Steve Golla of High Wycombe on the false flat before the finish hill. However, whilst Neil & Steve were reeling from the effort, Knighty combined his light weight and superior power to launch again over the top of the climb: "I knew I had to follow that move," says Neil. "But I couldn't! Either he'd metered his 1st attack or he has amazing powers of recovery!" So the eventual winner surged ahead with two others to stay away and it was a case of "niente da fare" for what remained of the bunch. Neil came in 10th. Unfortunately, an unshipped chain put paid to Graeme's chances. His flyweight worked against him as he lost contact and tried to chase back on on the downhill sections of the course. Paul had been part of a 15 man break in the 'C' race. Although there was an obvious numerical benefit, it was outweighed by a lack of cohesion: "Only about 5 people wanted to do any serious work," he says. "So it was pretty much doomed." Paul did his usual canny thing and relied on his light weight as he kept in the mix up the finish hill. With the clear winner about a minute ahead of the bunch, he took 5th place in what was left of the bunch; "I don't think you could call it a sprint; more of a grovel!" 5th for Paul. He makes it look easier than Neil, but he's still not satisfied! Big thanks to Pauline Unwin of VC Meudon for the pictures. 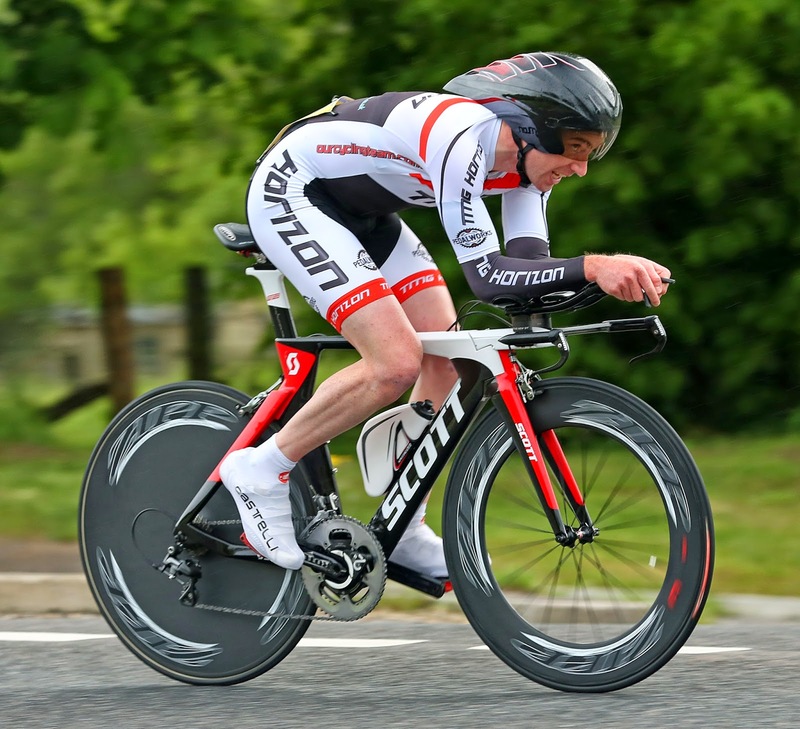 Luke & Ross joined Tony May for the Norlond 50 mile TT this morning on the F1 course in Bedfordshire. Far from ideal conditions made it tough going and it was clear from the off that it would not be a day for PB's! 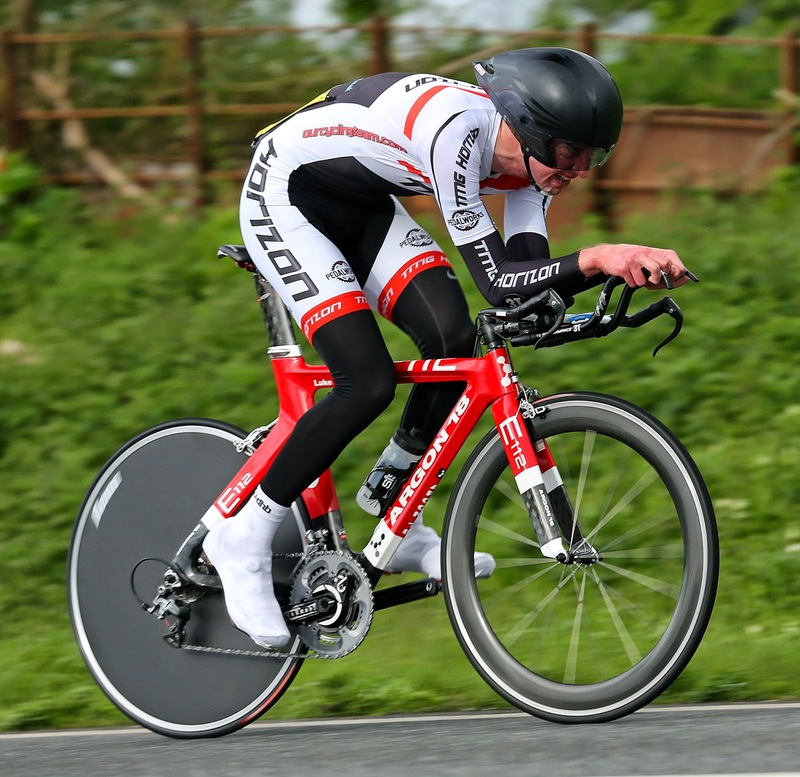 Battling some rather crazy crosswinds with their deep section front wheels, both Clarkes managed under the 1:55. Tony was not far behind and sealed the team prize to boot. Thanks to Dave Jones for the pictures.